1) Budgeting forces you to determine the total number of marketing impressions you will need to successfully hit your projected revenue increase. For example, let’s say you have projected a $200,000.00 annual increase in sales. To compute the number of marketing touches or impressions required in your annual marketing plan to achieve that goal, you will need to know your average sale, your closing percentage, and the number of prospects generated from every 100 marketing touches. For this example let’s assume an average sale of $500.00, a closing percentage of 25 percent, and one prospect generated for every 100 marketing touches (or 1 percent). The math to determine the number of marketing touches you will need to generate a $200,000.00 increase in sales is as follows: Divide your growth sales target of $200,000 by your average sale of $500.00 equals 400. You will need 400 customers to generate $200,000.00 in new sales. With a 25 percent closing ratio, you would require 1,600 prospects to obtain 400 new customers. To obtain 1,600 prospects at a generation rate of 1 percent, will require your marketing plan to include 160,000 marketing impressions. Your next decision will be to determine how to best utilize your budget for 160,000 impressions to generate the 1,600 prospects required to achieve your sales target. Are you starting to see how it is impossible to develop an effective marketing plan outside of the framework of applying financial budgets? 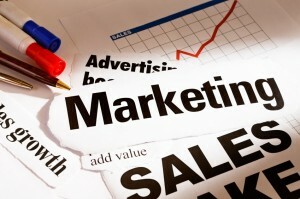 2) Budgeting forces management to measure your prospect flow from each marketing media and strategy. When you have a specific amount of dollars delegated to an annual marketing budget with the objective to generate a specific number of interested prospects, it requires you to measure the results of every marketing event and media to determine what is and what is not working. 3) Budgeting gives the sales team measurable targets. When the budgeted marketing plan includes expectations for a specific conversion or closing percentage as well as a specific number of new customers, it gives the sales team numbers to beat. It also gives management specific objectives for which to focus sales training skills. 4) Budgeting forces management to make specific decisions regarding marketing vehicles. Assigning dollars to every marketing event forces management to weigh past results and make calculated decisions as to which media’s will best accomplish the objective and give the best return on advertising expenditures. 5) Budgeting forces management to think about where to go for additional revenue. Developing specific sales growth targets forces management to make decisions as to from where the additional revenue is going to come- new products or services, a new market segment, a new price point, etc. 6) The budgeting planning process gets your staff to buy-in. When you engage your employees, ask for their ideas, and make them part of the planning process, you automatically make the company goals their goals as well. 7) A budget gives you a benchmark to measure your monthly progress. Without budgets your company has no goals for which to measure itself against. There is no accountability for anyone within the company, including management. 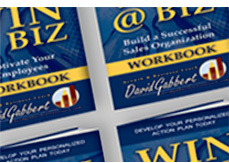 Start attaching financial budgeted numbers to your marketing plan today. When you refuse to use budgeted financials in your planning, you really have no plan at all. Get all of your key people involved in the planning process, determine where the company’s sales are going, and how you are going to best get there….within your budget.